Our Lodges are perched on one of our lakes. 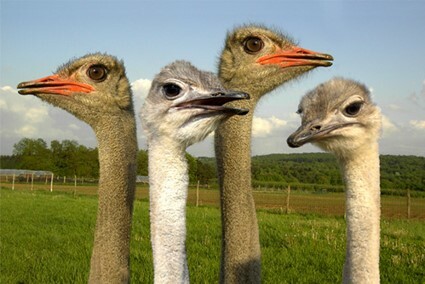 They owe their existence to the Molignée, a river flowing nearby. This alone means a trip guided by water. 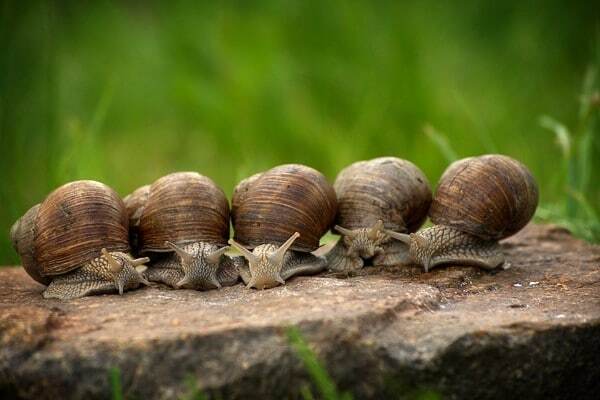 Take your time here, and take it easy. In the neighbourhood, there are plenty of places to discover, if you’re in the mood! 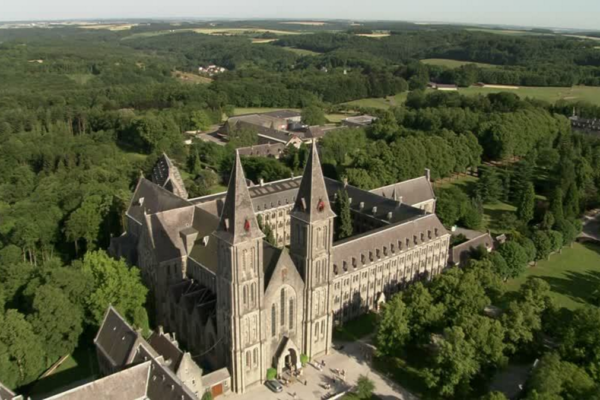 Maredsous Abbey and its little sister, the abbey at Maredret (Benedictines), are serene and calm sites that are just perfect for walking. 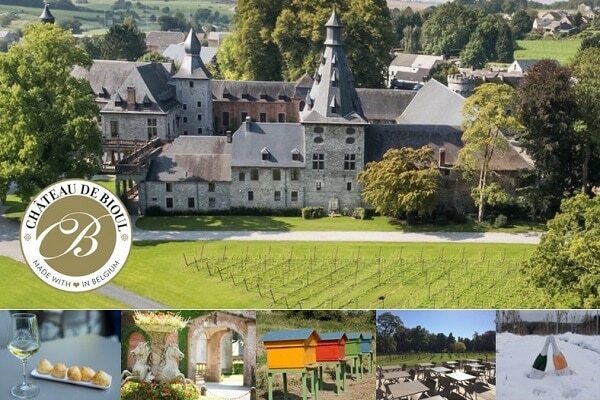 The former produces Trappist beer under its own name, and will delight fans of special ales, together with an equally famous cheese. 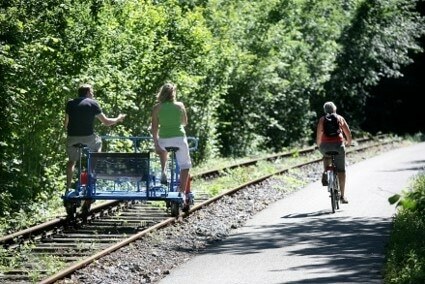 The Molignée Valley, for starters, can be visited by pedal power! 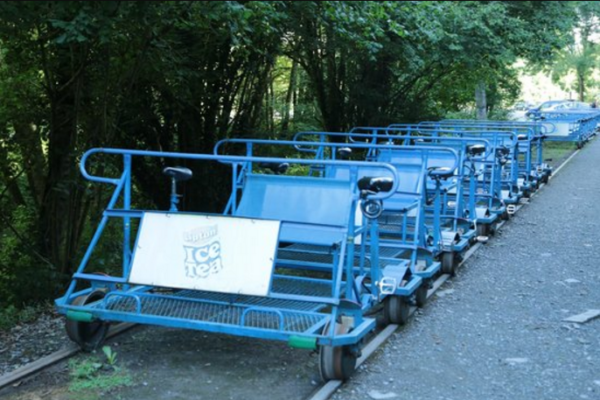 The « Draisines » are like bikes on rails, and they cross this superb valley. 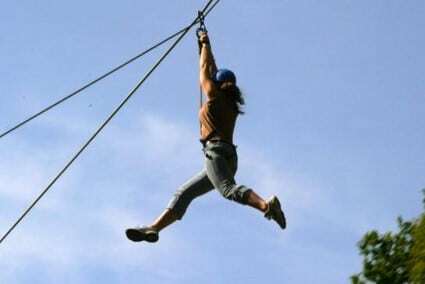 It’s a great way to do some sport as a couple or with several people, against an enchanting backdrop! The Molignée Valley and its Ravel route make for great cycling or walking trips. Discover the region the best way, by calling on your five senses. 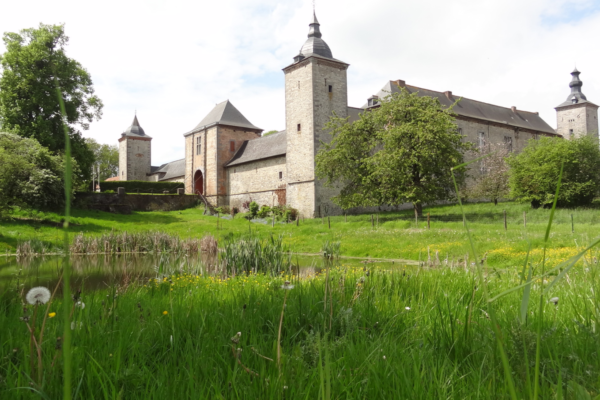 You are sure to be delighted by the animals, plants, and landscapes of this gentle Condroz starting from Anhée, via Maredsous… and arriving almost back at your chalet. 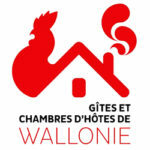 The villages of Sosoye and Falaën, listed among the prettiest villages in Wallonia, are located not far from your small chalet. 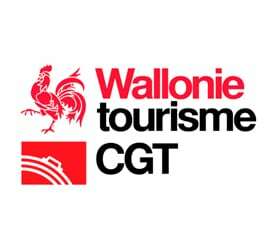 Both stand alongside the Molignée River and the ruins of Montaigle, and they will lead you to discover the charming Condroz region. You’ll admire spires, towers, alleyways, and village houses dating back to the 18 and 19th centuries. And they’re all near you! 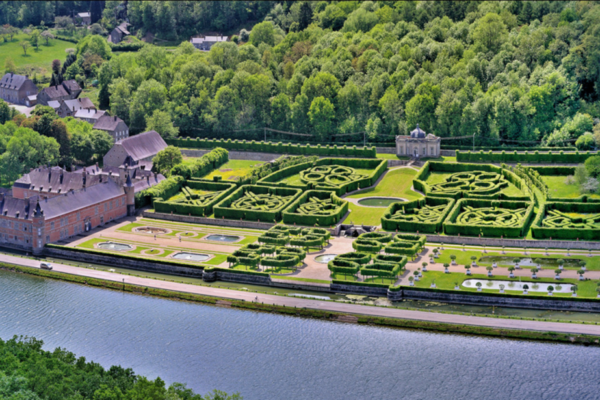 The Jardins d’Annevoie, between Namur and Dinant, are listed as a heritage site in Wallonia. This lush green setting is superb for long walks among its alleys! 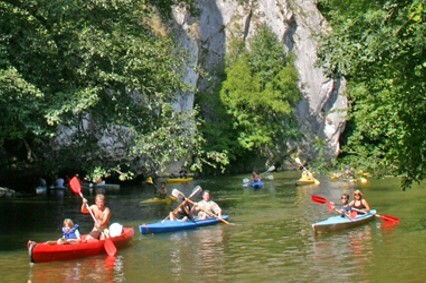 Kayak Tour down the river Lesse. 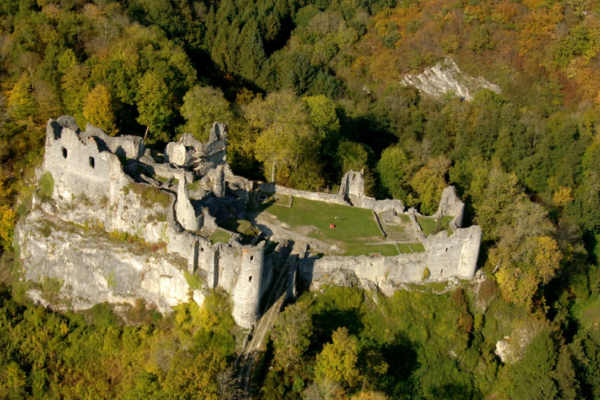 The castle ruins at Montaigle overlook the valleys of the Molignée and Flavion. 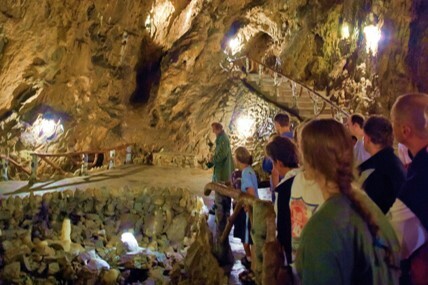 Visitors here get a flavour of the legendary Middle Ages! 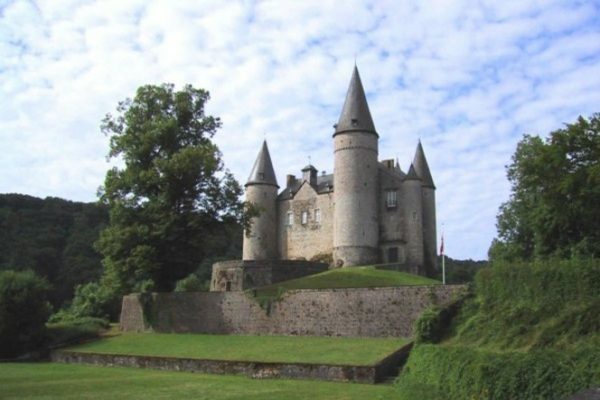 It’s a wonderful site to climb and picture yourself back in the era of the Counts of Namur! 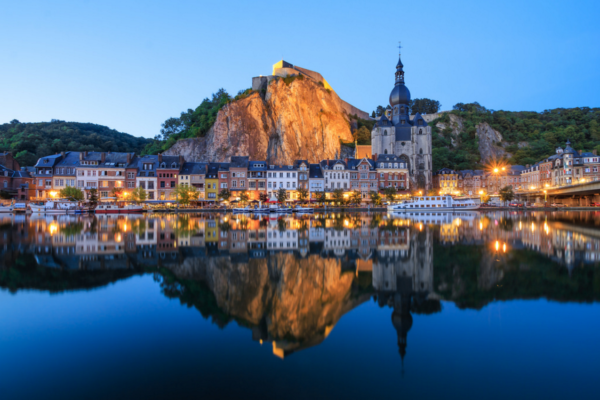 The Dinant Citadel, a famous site, has long fascinated young and old alike. A biscuit famously symbolises this city in the Upper Meuse valley. Focused very much on excursions, this place has a holiday feel! 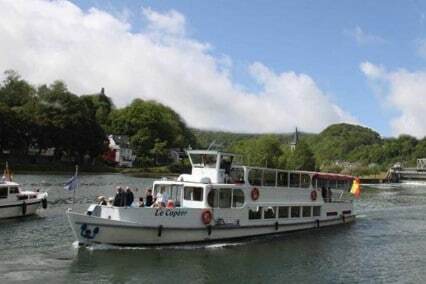 Cruise on the river Meuse. The Mettet circuit will delight motor sports fans and spectators! 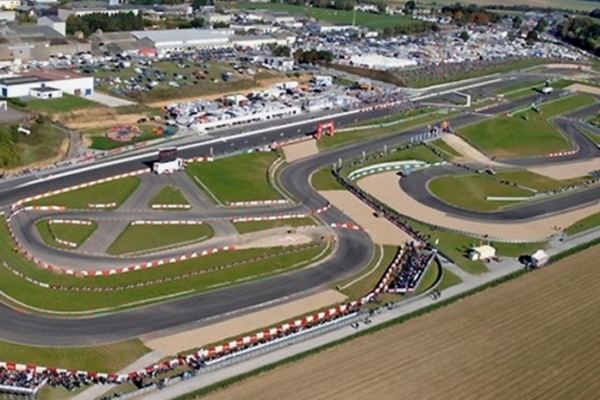 Conceived for motorbikes and cars, the circuit’s layout can be tailored to its users. Each bend is named after an illustrious car driver since the circuit’s inauguration in 1927. 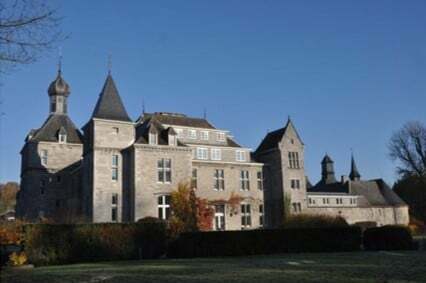 The Castle of Freÿr stands among sumptuous surroundings. 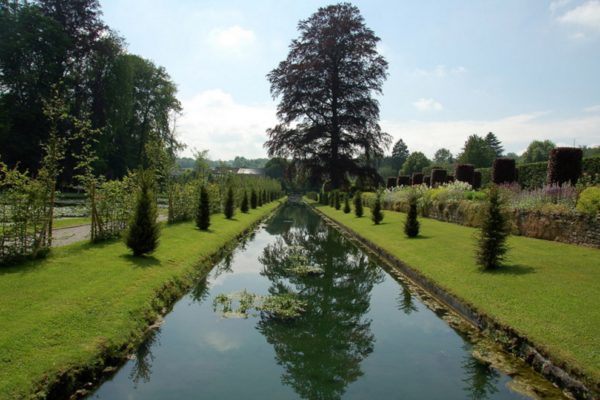 Its gardens border the Meuse River, and its classical Renaissance style will speak to you of the history of the 20 generations who have lived here. You will be treated to the sight of 300-year-old orange trees, miles of mazes, and wonderful water fountains! L’Impériale Bister mustard factory, between Namur and Dinant. Come and visit L’Impériale Bister mustard factory. Our family business, created in 1926, exists since 3 generations. 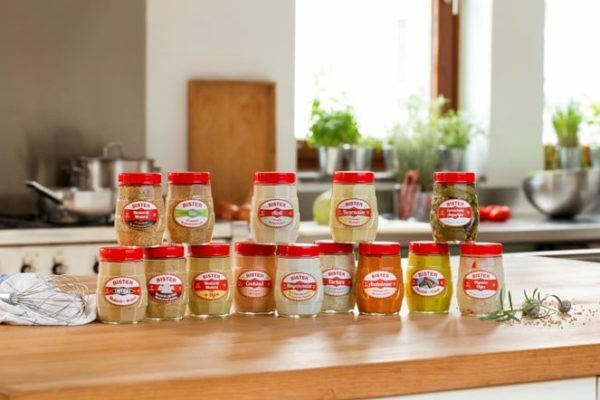 We manufacture and distribute different kinds of mustards, piccalilli, onions, pickles and cold sauces.